The Jeep lineup of vehicles includes multiple models that deliver impressive crossover and SUV performance. 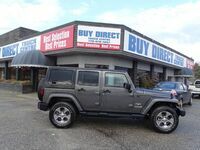 Buy Direct Truck Centre offers multiple used Jeep models in Kelowna BC that give affordable access to the impressive performance these vehicles have to offer. 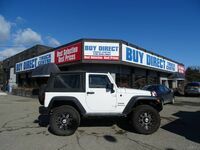 Buy Direct Truck Centre carries an extensive inventory of vehicles from Jeep and many other brands. Our inventory is always changing, so check back regularly to stay up to date on all of the vehicles we currently have to offer. 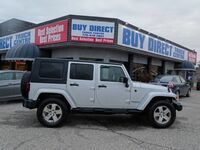 A variety of Jeep models are offered here at Buy Direct Truck Centre. The rugged Jeep Wrangler is the most-recognizable in vehicle in the company’s lineup. This Jeep stays true to its nature, delivering a go-anywhere attitude. This attitude is supported by the Wranglers impressive collection of off-road features. All Wrangler models offer a removable roof and removeable doors. The Wrangler is available in the standard two-door configuration or as the larger four-door Wrangler Unlimited. The flagship of the Jeep lineup, the Grand Cherokee provides the ideal blend of performance and comfort. The Grand Cherokee is able to function as a practical and versatile family vehicle while maintaining the off-road capabilities that are expected from the Jeep brand. Grand Cherokee models offer four-wheel drive along with an impressive amount of storage space. The Jeep lineup is rounded out by capable and practical models like the Cherokee, Compass and Renegade. These smaller crossovers offer Jeep’s impressive capabilities in a nimble and efficient package. The unique Renegade is instantly recognizable, adding a degree of modern style to the Jeep lineup. 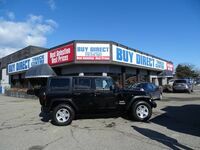 Regardless of your needs as an owner or driver, the Jeep lineup will have the ideal vehicle. 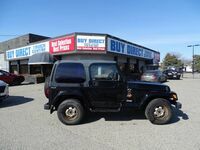 Test drive one of our used Jeep models to learn more about everything these vehicles can do.